Week 2 has a ton of GPP contests available this week. Some of them are highlighted in the Week 2 DraftKings' Contests Spotlight on Footballguys.com. Check out the contests available this week. The picture is big, but so is the prize. A live final, followed by a Live Grand Final for a $5 Million first place prize. 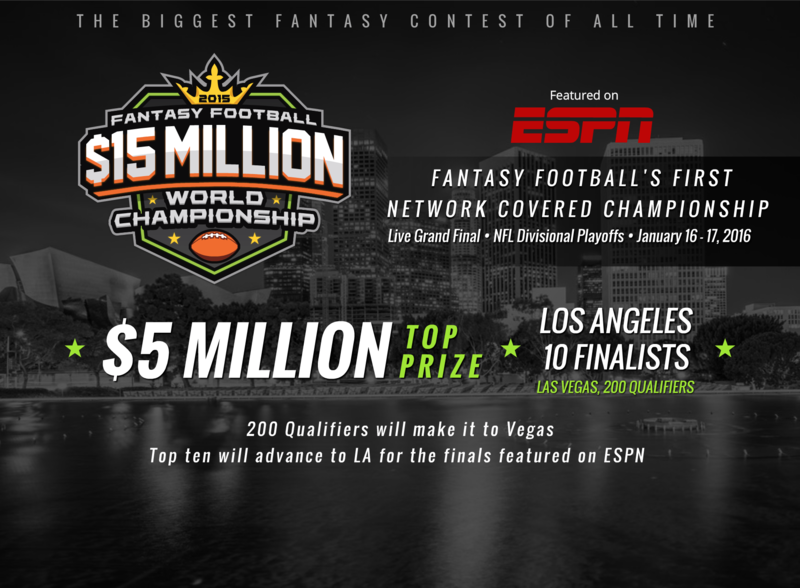 200 Qualifiers from Weeks 2-14 will arrive in Las Vegas in December (NFL Week 15), where the Top 10 will get to go to Los Angeles in January during NFL Wild Card Weekend for a shot at the $5M Grand Prize. Unbelievable. So, follow the link, check out the contest, and take your shot at millions of dollars and fantasy football history!